Spring City, TN — The town of Spring City and Spring City Parks and Recreations will celebrate the 4th of July in a three day extravaganza. The fun will begin on Thursday, July 3rd with a block party at the Spring City Depot. The Block Party will run from 7:00 pm to 10:00 pm. Performing at the Block Party will be Corey Alan Rose. On Friday, July 4th, the town of Spring City presents Singing at the Depot. The featured performers, Surrender will be performing at the Spring City Depot from 7:00 pm to 9:00 pm. The three day event ends on Saturday with the Independence Day Celebration at Veteran’ Park in Spring City. The first activity of the day will be registration for the Mr. and Mrs. Firecracker Pageant. The registration will be from 9:00 am to 10:00 am. At 10:00 am the Pageant begins with several divisions from Newborn up to 8 years old. After the Pageant there will be signups for the Watermelon and Pickle Eating Contest from 12:00 pm to 1:00 pm. The Pickle eating contest will begin at 1:00 pm and the Watermelon Eating contest will begin at 1:30 pm. The Eating contests will be followed by Karaoke Music from 2:00 pm to 3:00 pm. From 3:00 to 3:30 pm the signups will be done for the Diaper Derby and Teddy Bear Run contest. There will be three events occurring at 4:00, 4:15 and 5:00 pm. The Diaper Derby, Teddy Bear Run and Duck Race will occur at these times in order. Games and Prize winning will occur throughout the day! 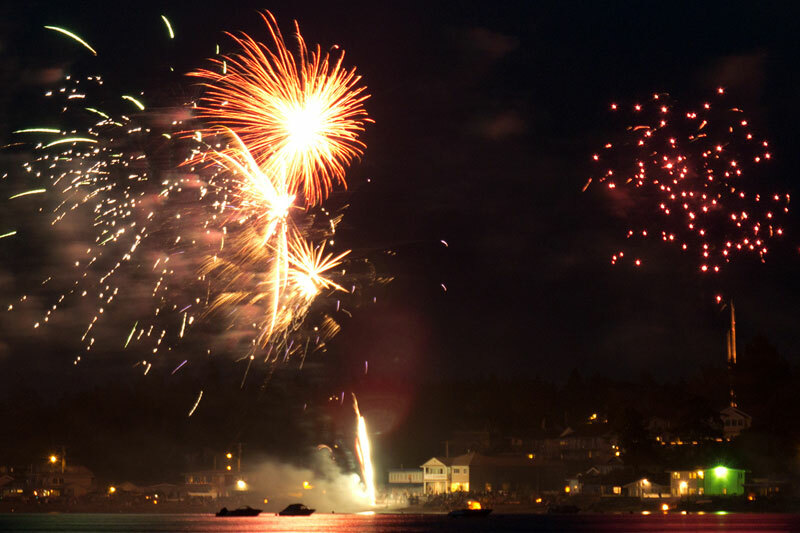 From 5:30 pm until the Fireworks begin there will be Live Bands performing. 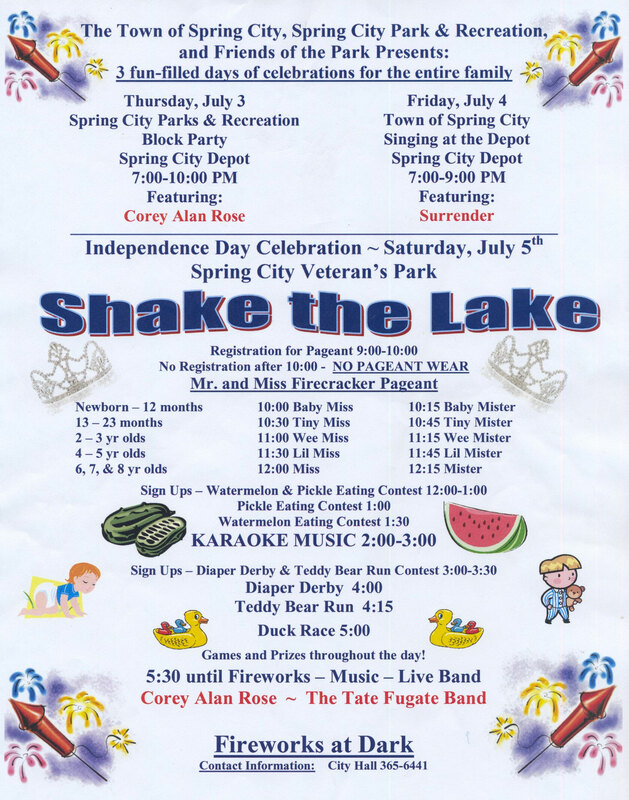 Corey Alan Rose and The Tate Fugate Band will be performing. The day will end with an exciting Fireworks at dark.